Why would I need self storage in Fort Collins, CO? There are a variety of reasons why you might need self-storage in Fort Collins, CO.
How much is a storage unit in Fort Collins, CO? The cheapest storage unit in Fort Collins, CO is $44.00 per month. What size storage units do you have available in Fort Collins, CO? In Fort Collins, CO we have sizes that range from 5'x5' to 10'x25' to suit your storage needs. How much is it for a 5'x5' storage unit in Fort Collins, CO? The cheapest 5'x5' storage unit in Fort Collins, CO is $44.00 per month. 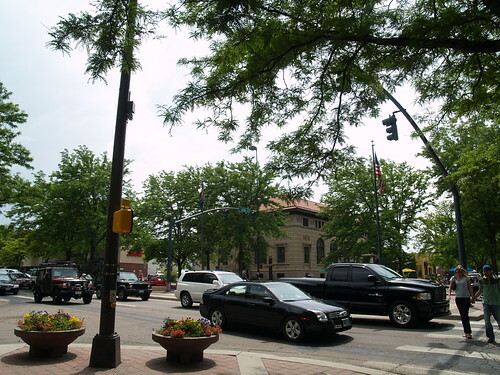 Fort Collins is a rapidly-growing city in Larimer County, Colorado, located about 65 miles north of Denver. As the home of Colorado State University, Fort Collins is a bustling college town, quickly earning a spot among Colorado's largest cities. Nicknamed the Craft Beer Capital of Colorado, the city takes great pride in its many craft breweries, with more than 20 located within city limits. Fort Collins has a long and interesting history, beginning with its founding as a military outpost. The area started out as Camp Collins in 1862, to help protect settlers and travelers on the Overland Trail, including the local postal route. Although the fort was abandoned not long after, settlers quickly arrived and began to establish the area. By 1872 there was a general store, hotel, brick-yard, mill, post office and school on the land that once held the fort. The area's strong agricultural potential attracted a large number of people, leading to the town's first population boom. The Colorado Central Railroad came to the town in 1877, and a variety of businesses and industries bolstered the local economy. Colorado State University was built in 1879 and was named Colorado Agricultural and Mining College, later changing its name to Colorado State University in 1957. Because Fort Collins is a big city, there are many convenient amenities available. If you're in need of health care, in addition to the hospital there are several nursing homes, home health centers and even a dialysis facility. Fort Collins is host to several higher education centers in the city, including the large, centrally-located campus of Colorado State University. In addition, there are another seven colleges and universities within a 60-mile radius of Fort Collins, providing you with plenty of options. Fort Collins also has a vibrant arts and culture scene, fueled by the large university. The Lincoln Center features an outdoor sculpture garden, several exhibits and many performances, including dance, theater, opera and symphony. Local bands and performers host a variety of events in the area, as do the many breweries throughout the community. Every summer the Colorado Brewer's Festival takes place, hosting tens of thousands of visitors from all over the state. The most common industries in Fort Collins are accommodation and food services, manufacturing and educational services. Thanks to Colorado State University and its research facilities, a number of high-tech companies have recently arrived in the city, including Intel and Hewlett-Packard. Clean energy and bioscience are also quickly expanding industries in the area. If you're planning to look for a job in Fort Collins, you may want to start with its largest employers: Colorado State University, Hewlett-Packard, Poudre Valley Health System and Poudre School District. The Poudre School District serves the public schools of Fort Collins. You'll also find several private schools in the city, most of them faith-based campuses. In terms of higher education, Fort Collins is rich with possibility. From the large campus of Colorado State University to smaller campuses like Front Range Community College, you have plenty of options for pursuing your degree. Utilities: The city of Fort Collins manages major utilities throughout the city, including water, power and sewer services. Garbage and Recycling: Though the city doesn't provide waste disposal service, you can choose from a few different private companies that facilitate curbside collection. The main disposal companies in the area are Waste Management, Gallegos Sanitation and Ram Waste Systems. Transportation: Transfort is the local public transportation service, providing a network of public bus routes throughout the city. The median home price in Fort Collins is just slightly higher than the Colorado average. The rental market is very active, providing a large number of options at many different price points. Our lowest priced units in Fort Collins, CO average $44.00 per month. 123 people have reserved units in Fort Collins, CO in the past 30 days. There is 1 location within Fort Collins, CO's city limits.